In my last article, I explained why having a healthy brain is key to a happy life. Then comes the inevitable question: what do I have to do to have a healthy brain? This is all some bogus fad, it’s never going to work, and even if it did work I’ll never be able to do it, might be some of the things you hear. This is the common way the brain reacts to new information where you might have to change your ideas or what you do. If you have some degree of flexibility, though, it is only the first of a three-part process. Part one is resistance, as we said. Part two is acceptance and part three is embracing. Since we’re talking about the brain, I should mention that resistance can also come from having an overactive cingulate gyrus. What the hell is that? The cingulate gyrus is a part of the brain, and when there’s too much going on in there, we have a very hard time switching gears. If you find yourself saying no to new ideas eight out of ten times, you just might have this problem. 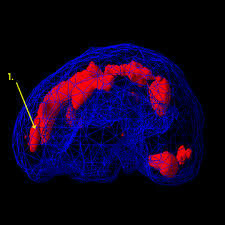 We’ll save talking about ways to deal with an overactive cingulate gyrus for a later post, but for now . 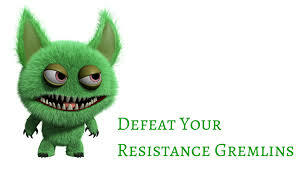 . .
How do we deal with the resistance gremlin when we are trying to make the necessary changes to have the healthiest brain possible? We start with the 1% solution. Much of our fear comes from the belief that we will fail. To counter that, we take the smallest, easiest steps possible, that you will actually do, that won’t totally freak you out. So what’s that tiny first step? DRINK A GLASS OF WATER FIRST THING EVERY DAY. Why is drinking a glass of water first thing every day good for the brain? 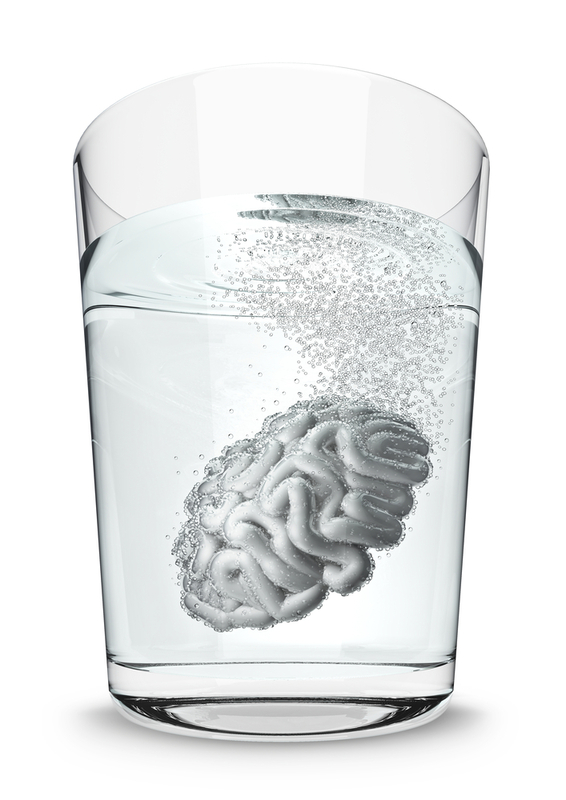 The brain is 85% water. The functioning of your brain depends on having enough of it. Water gives the brain the electrical energy it needs to do it’s thing. Water is needed for the brain to be able to make hormones and neurotransmitters, the chemicals that make our brains work right. The longest period of time we go without water is when we sleep. Not only don’t we drink, but during those six to eight hours we use up water. So, when we wake up, we’re somewhat dehydrated. When we are dehydrated, it’s harder to pay attention, remember stuff, and figure out how long it will take to get to the office. That’s why the first thing we want to do to get our brain going in the morning is to have that big glass of H2O. So try this tomorrow. Fill up a glass with 12 to 16 ounces of delicious water and drink it. I think you can. It’s worth it. When your brain has all the water it needs, you will be able to think faster, be more focused, and experience greater clarity and creativity. It’s an easy way to start your healthy brain program – and your day – right.